With its light-filtering range, JASNO has introduced a transparency for its folds between the semi-transparent and full blackout version of its folding curtains. Because the woven paper in the light-filtering version is more densely woven, the result is a subtle light effect. 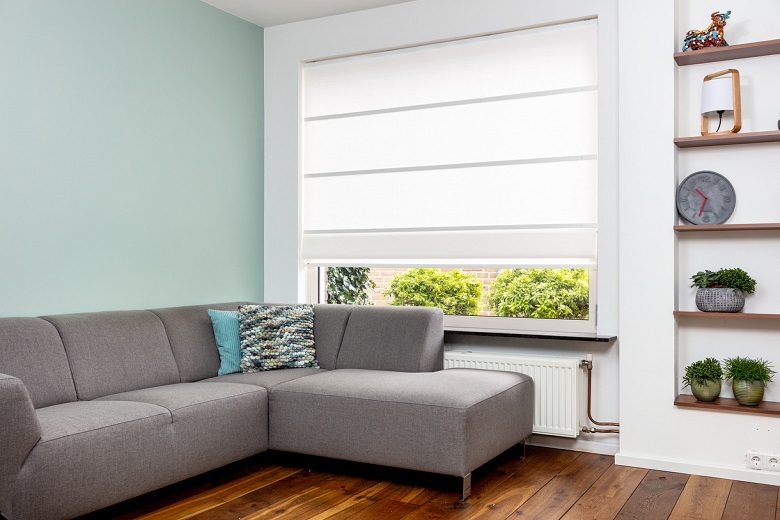 The light-filtering variant is available in five new colours in addition to the same six natural tones of the semi-transparent folding curtain range. JASNO launched its folds on the market in 2014. Folds, folding curtains produced from woven paper and wooden strips, were the result of collaboration with Dutch Design studio Daphna Laurens. These folding curtains are now available in three transparencies, the standard semi-transparent version, the light-filtering version with its subtle light effect and the full blackout variant.